To say Afghanistan have had a tough journey through the Cricket World Cup Qualifier would be putting it mildly. After three losses in their first three games of the Cricket World Cup Qualifier, Afghanistan stood on the cusp of being eliminated from a tournament they had been favourites to progress from at the earliest-possible opportunity. They needed to win all their remaining games, and for plenty of other results to go their way, in order to stand a chance of qualifying for the Cricket World Cup. Remarkably, they entered their final game against Ireland with their fate in their hands and sealed their place in next year’s Cricket World Cup with a victory. Here are the key moments of their journey to and back from the brink. 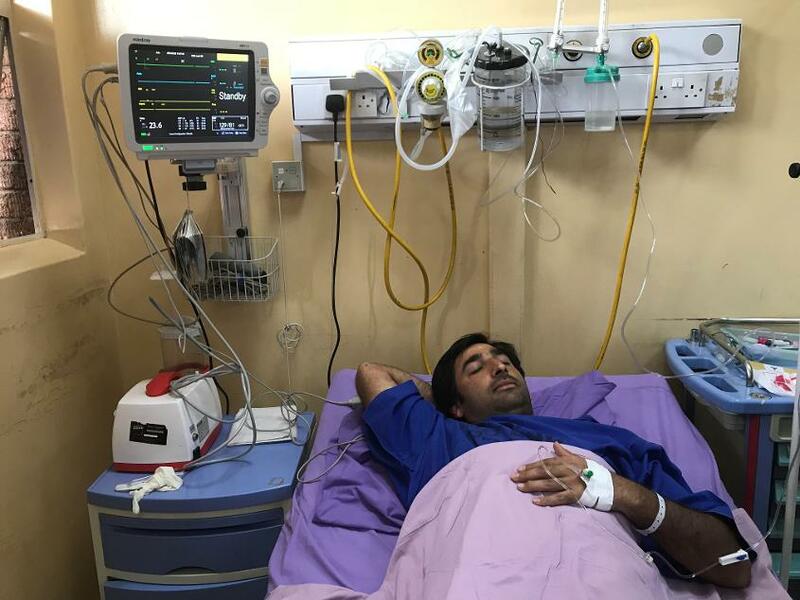 Afghanistan’s travails started before the tournament had even began when news emerged that their captain Asghar Stanikzai would miss the beginning of the tournament with appendicitis. Afghanistan won their first warm up game against West Indies by 29 runs (DLS) but they struggled with the bat, slipping to 71/8 before a punchy ninth-wicket stand of 91 helped them to 163/9, which Dawlat Zadran’s 4/26 helped them defend. They were then dismissed for 216 by the Netherlands in their second warm up, with their batting struggles continuing throughout the tournament. Mohammad Nabi’s 92 helped Afghanistan post 255 but it proved nowhere near enough as Calum MacLeod ran riot, sweeping and reverse-sweeping star leggie Rashid Khan at will on his way to an unbeaten 157 and a comfortable seven-wicket win. For most of Afghanistan’s second game, against Zimbabwe, their opening loss seemed to be behind them as they dismissed their opponents for 196 and progressed untroubled to 156/3. Then they collapsed, losing six wickets for 21 runs. Last pair Dawlat Zadran and Shapoor Zadran dragged them towards their target, adding 17 in 8.1 overs, but the latter’s dismissal left them two runs short, sparking wild Zimbabwean celebrations and leaving Afghanistan seemingly staring down the barrel. Perhaps the biggest upset of the tournament. Again Afghanistan started well, reducing Hong Kong to 93/4. And again they let the advantage slip, as a series of lower-order contributions, led by Anshy Rath’s 65, saw Hong Kong make 241/8. Afghanistan never looked like chasing it down, losing regular wickets, especially to Ehsan Khan who took 4/33, as they slipped to a third successive defeat. They would need to win their next four, and have a whole host of results go their way, in order to qualify for the Cricket World Cup. It had been a poor tournament for Afghanistan’s teenage wunderkind and stand-in captain up until this point, but he began to make amends here. His revival began with the ball as he took 3/45, which, combined with Mohammad Nabi’s 4/33 dismissed Nepal for 194, and continued with the bat, as he promoted himself to open and struck a 14-ball 21, which set the tone for Afghanistan’s brisk, net run rate-boosting chase. Having been beaten by Afghanistan just two days prior, Nepal proceeded to do them a huge favour by defeating Hong Kong by five wickets - had Hong Kong won, they'd have progressed, eliminating Afghanistan in the process. As it was, despite having won just one game, Afghanistan advanced to the Super Sixes by virtue of net run rate. But carrying no points forward, they still faced an almighty struggle. Perhaps the moment when Afghanistan began to believe. A three-for from 16-year-old mystery spinner Mujeeb Ur Rahman helped restrict the favourites, so far unbeaten, to 197/8. Afghanistan made heavy weather of the chase but, thanks largely to a half-century from Rahmat Shah, emerged victorious by three wickets. Rashid Khan’s 5/41 skittled UAE for 177, a total which looked plenty when Afghanistan slipped to 54/5 in reply. Opener Gulbadin Naib, who watched the carnage perplexed from the other end, compiled a careful unbeaten 74, providing the perfect foil for Najibullah Zadran’s more aggressive 63. Their unbroken sixth-wicket stand of 124 saw Afghanistan home. After Scotland’s and Zimbabwe’s heartbreaking, narrow, rain-marred losses to West Indies and UAE, most observers expressed sympathy for sides that had come so close, played so well, and been denied at the last. Afghanistan however will have been quietly rejoicing – had Scotland won, they would have needed not just to win their last game, but do so by such a margin to surpass West Indies' hefty net run rate. And had Zimbabwe won, their result against Ireland would have been irrelevant – they would have been already knocked out. Yet another nail-biter completed Afghanistan’s improbable progression. Rashid Khan’s 3/40 took him to 99 ODI wickets and helped restrict Ireland to 209/7 before Mohammad Shahzad blazed away in reply, making a 50-ball 54. No-one else could score with his fluency however, but Afghanistan still scrapped their way to a last-over victory, completing a remarkable journey.